Welcome, to This Is America, March 9th, 2019. We have an amazing show/transcript for you this week. First, we talk with someone from PopMob about a recent event in Portland that brought together close to 600 people in response to a series of anti-queer and anti-trans attacks. Police Rapists Go Free . 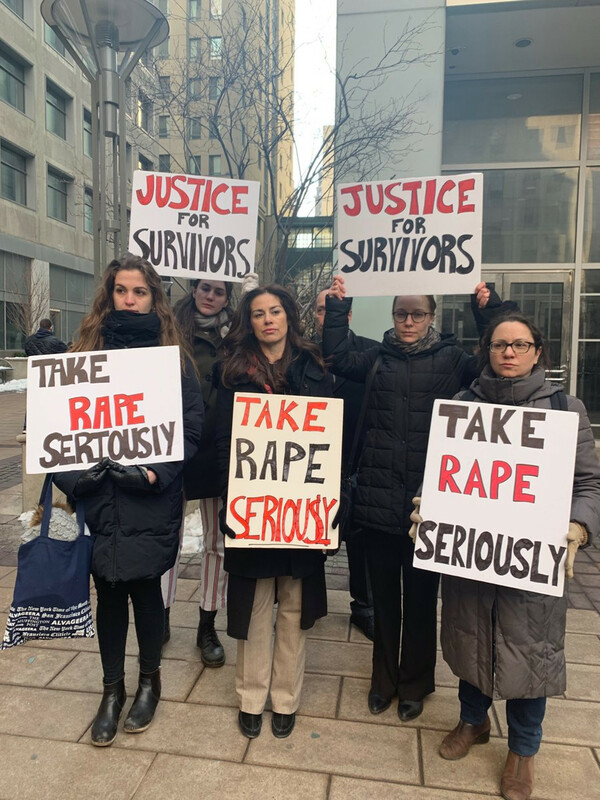 In New York, the DA has decided to drop charges against several police officers that raped and attacked Anna Chambers. 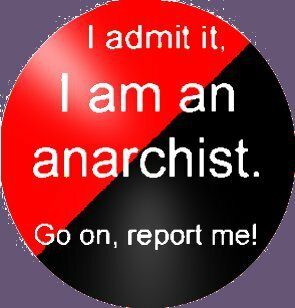 Anarchists have been a continuous part of the struggle and shown solidarity for months. We then talk with two people involved in the newspaper project, Salvo, out of Los Angeles, who is currently fundraising to expand their project. We talk about the importance of having counter-information projects, the recent LA teacher’s strike, and more. In 2019, our eyes are set on growth. We plan to double our printing capacity, expand our distribution network, and most importantly, relay thoughtful analysis from people on the ground when things pop off. The Oakland teacher’s strike is over, with many reporting that the teacher’s union gave in to major concessions. Many are now mobilizing to fight a series of proposed school closures. 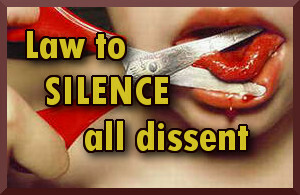 Check out a series of critical articles on the strike on LibCom and Commune Magazine. A week after Kentucky teachers conducted a job action to protest legislation attacking pensions and public schools, teachers in the state’s largest school district in the Louisville area have staged two days of sickouts in defiance of the unions. On Thursday, Jefferson County Public School teachers were joined by school workers in Meade, Oldham, and Bullitt counties, resulting in the closure of hundreds of schools. In Louisville, the teacher actions are organized by a group completely autonomous of the teacher’s unions. 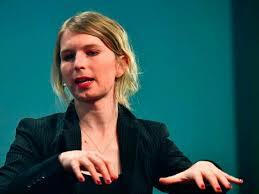 CHELSEA MANNING Two extremely easy ways to support @xychelsea grand jury resistance. Demonstrations continue in Sacramento, California, with students taking a lead, launching school walkouts and strikes, which have marched across the city building as more students walk out of school and join in them. 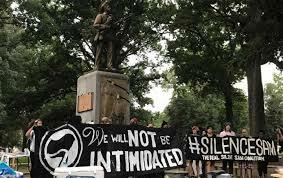 In Chapel Hill, North Carolina, two Silent Sam protesters had their charges dropped, while another one still faces some charges. Check out a statement from Take Action Chapel Hill here. 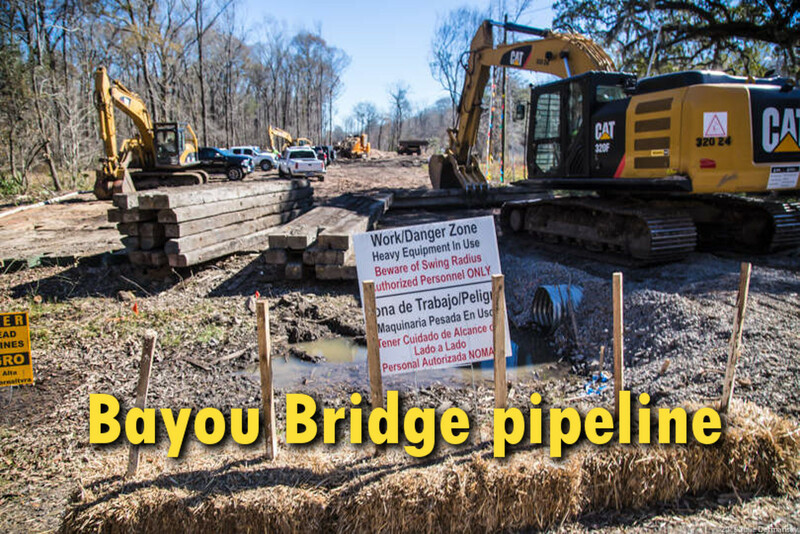 Energy Transfer Partners may have lied to its shareholders when it told investors the Bayou Bridge pipeline will be fully functional this month. According to reports from Louisiana residents who frequent the Atchafalaya Basin, work on the project – which was first projected to be complete in 2017 – has been halted indefinitely due to high water levels. Included in this program is a recent update from the Bayou Bridge resistance camp, which will also give an update. Not to be outdone, two other massive energy projects, the Mountain Valley Pipeline and the Atlantic Coast Pipeline, two projects have have written about and covered on this podcast, are also in jeopardy and are far behind schedule. Two proposed long-haul natural gas transportation projects—the Atlantic Coast Pipeline (ACP) and the Mountain Valley Pipeline (MVP)—are now in peril. That’s the result of a decision by the U.S. Court of Appeals for the Fourth Circuit in Richmond, Virginia in late February. The future of both projects remains up in the air, while resistance in the forms of tree-sits and continued resistance on the ground shows no signs of stopping. Republican Gov. Kristi Noem’s [introduced a bill] to curb violent pipeline protests [and it] has flown through both chambers of the Legislature. Noem dropped Senate Bills 189 and 190 on Monday. On Wednesday, a joint hearing was held on the bills. By Thursday, the Legislature suspended rules in order to pass both bills out of both chambers on the same day. SB 189 establishes civil penalties for “riot boosting,” or contributing money to or encouraging protesters who engage in violence. Finally, the Alt-Right white nationalist group, Identity Evropa is having a bad week. 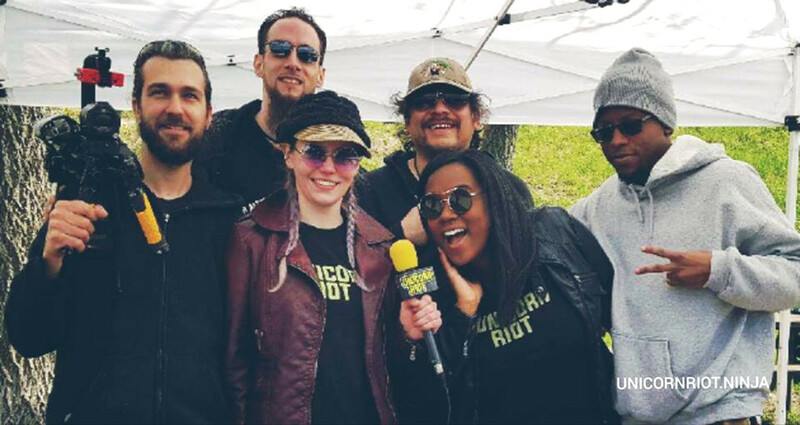 Media collective Unicorn Riot released a series of Discord chat lots giving antifascists across the country access to a treasure trove of information, which kicked off a new round of doxxing, job firings, and more. The leaks show many connections between local GOP and College Republican circles and show a desire by members of IE to infiltrate the political establishment as much as possible. This weekend is Identity Evropa’s yearly conference, which is supposed to be held in secret, yet the information was also released. The group is currently meeting at a lake resort in Kentucky, and then is supposed to hold some sort of action later in the weekend. 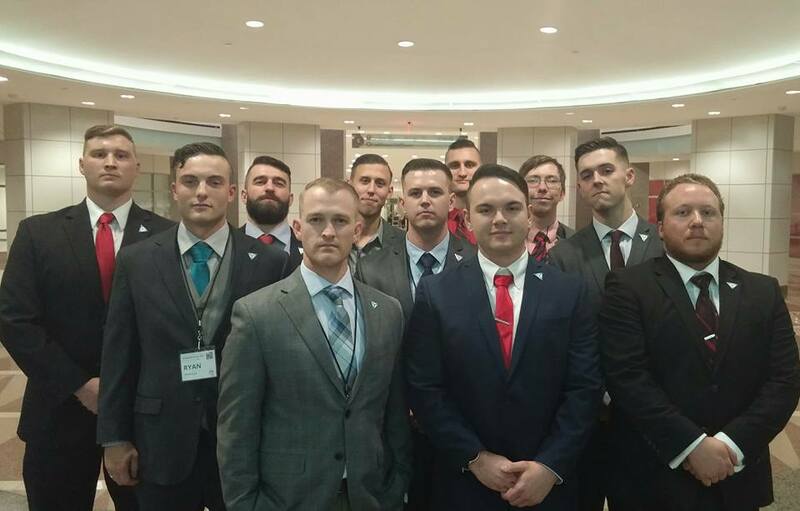 Soon after, the leader of Identity Evropa, Patrick “McLovin” Casey announced that the group would reform under the banner of American Identity Movement, or AIM, which of course is the same initials as the American Indian Movement, which still exists to this day. Whether this rebranding will result in a split within the organization or just a reboot, remains unclear. Saturday, March 9th: Little Rock, Arkansas, State Capitol. Anti-racist mobilization against militia, neo-Nazi, and KKK rally. More info here. Friday, March 15th: Vancouver, British Columbia. Mobilize against Alt-Right trolls Stefan Molyneux and Lauren Southern. More info here. 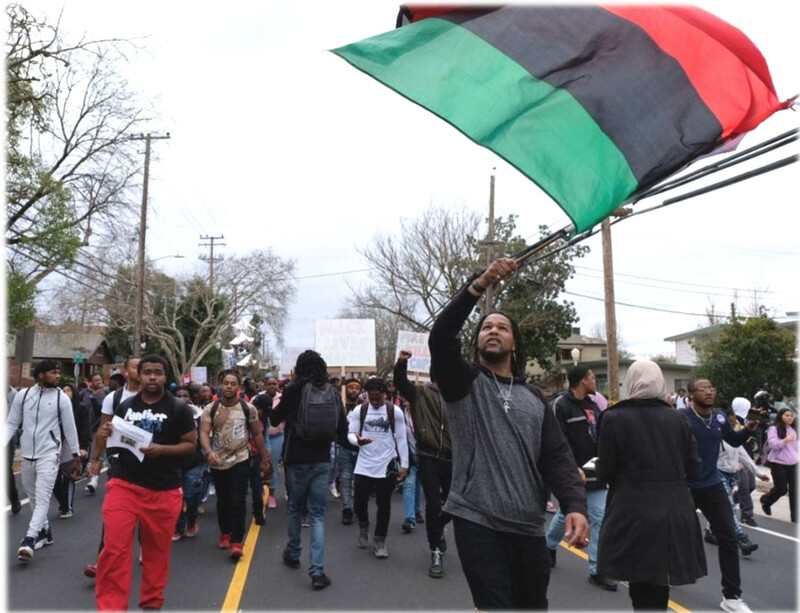 Saturday, March 16th: March Against Racism and Fascism with UARF. New York. More info here. March 16th – 20th: Mattole Forest Skillshare Camp in Northern California. Thursday, March 14th at the Social Justice Action Center at 400 SE 12th Ave. PDX Rad Movie is back for our first installment of 2019, one year and one day after our first showing last March. 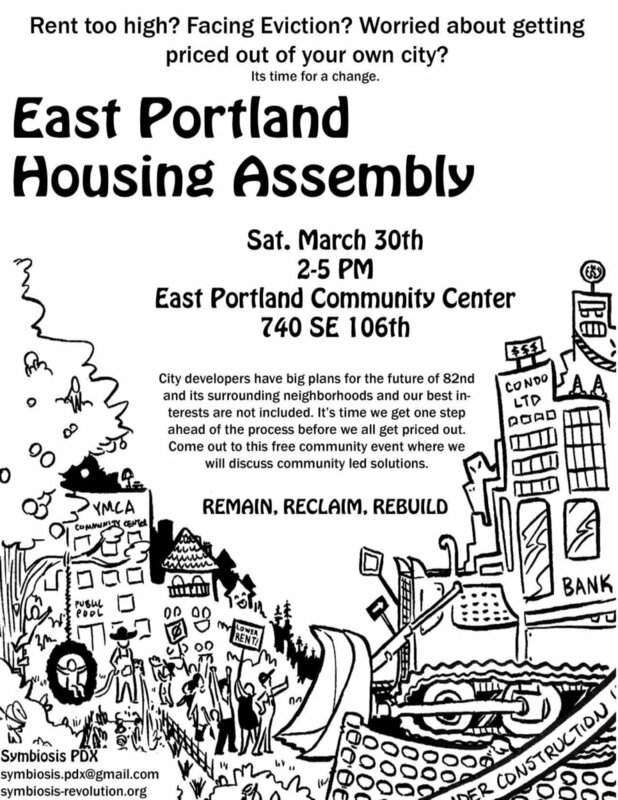 March 30th, East Portland Housing Assembly. More info here. August 16th – 18th: Indigenous anarchist convergence, so-called Flagstaff, Arizona. More info here. 2018-11-22 from Workers Solidarity, video in English. Entrevistamos a William Hederman, un investigador ambiental que vive en el condado de Clare, sobre la planeada terminal de gas natural licuado en Shannon. Su construcción significará que Irlanda no cumplirá con sus compromisos de Cambio Climático y, en cambio, estará atada a bombear gases de efecto invernadero adicionales durante décadas. William está trabajando como parte de Futureproof Clare (FB, Twitter) que está haciendo campaña contra Shannon LNG. La planta estaría en el estuario de Shannon en Ballylongford, en North Kerry. We interviewed William Hederman, an environmental researcher living in County Clare, about the planned Liquefied Natural Gas terminal on the Shannon. 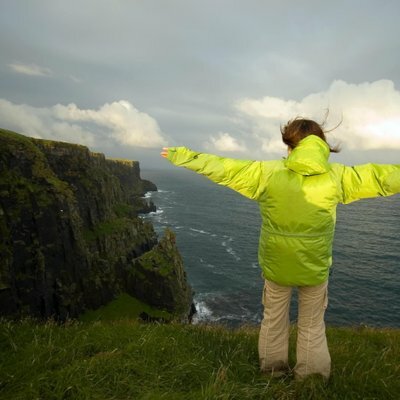 Construction of it will mean Ireland will fail to meet its Climate Change commitments and will instead be tied into pumping out additional Greenhouse Gases for decades. 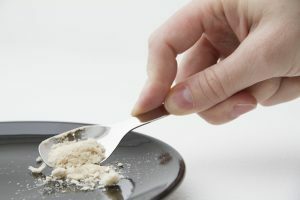 It sounds like science fiction but the Finnish company Solar Foods has already produced food with just water , electricity, the CO2 from air and trace chemicals. For starters this COULD in theory replace all animal feed with a cheaper, local, substitute, releasing 76% of arable land for forests or whatever, and abolishing world hunger. 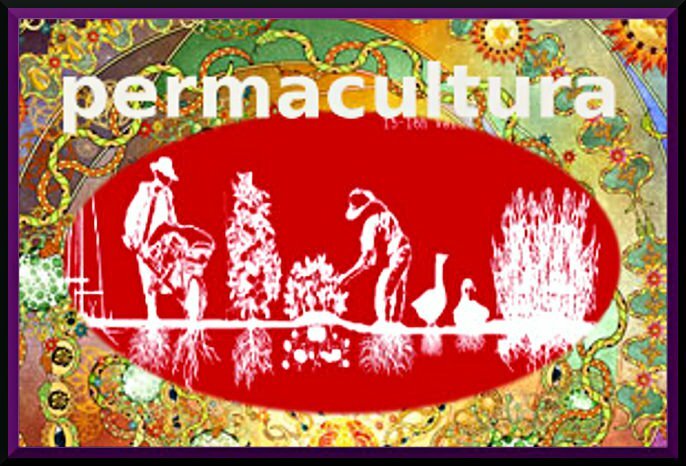 The possibilities of Solar Food are endless, it looks like the ‘technical fix’ that could save the planet from runaway ecocide. But as with all such promises it’s predator capitalism that rules, if we let it. Perhaps Exxon, Bayer or Nestlé will buy up and bury the patents. And one of the first initiatives of the Solar Foods company is .. not to attack world hunger but to develop food growing technology on Mars! In case you hadn’t heard (most people that I speak to haven’t), there was a report released on 8th October that spells out disastrous consequences for the humanity if average global temperatures surpass 1.5°c above pre-industrial levels. The last major report by the IPCC that came out in 2013 was the AR5. It’s the most comprehensive report ever written on the subject where 830 experts from over 100 different countries reviewed more than 30,000 studies on the topic. It was found, with 97% confidence that climate change is real and that it is most definitely caused by human activity. Despite the scientific opinion of thousands of experts, US president, Donald Trump denied these claims and America pulled out of the Paris Accord last year. Rather than joining forces to combat this global threat, he’s caused divisions and there is now concern that other leaders may follow suit. The Brazilian presidential election 2nd round is here and the result could have significant consequences for the rest of the world. Favourite to win is Jair Bolsonaro. If he is elected, it spells disaster for the Amazon rainforest, lungs of our planet. He has promised to open up more of the Amazon to agribusiness for ever increasing world demands for beef and soy (around 70% of the world’s soy is fed to livestock). He is dedicated to scrapping the Environment Ministry and will instead replace it with the Agricultural Ministry, in favour of converting forests to farmland. He has also made it clear that he will not set aside any reserves for natives of the Amazon who have lived there for thousands of years; quote: “there won’t be a square centimetre demarcated as an indigenous reserve”. The Amazon acts as a Carbon sink. Whereas we inhale Oxygen and breathe out CO2 (Carbon dioxide), trees do the opposite during photosynthesis. When a tree is cut down, not only does it cease to sequester carbon, but it emits all that it contains. Destroying the Amazon would accelerate climate change and we may reach 1.5°c way before the 12 year deadline. This hasn’t even been taken into consideration by the IPCC report. In a scenario that has been dubbed ‘Hothouse Earth’, temperatures will reach a threshold beyond which, Earth will be put on to an irreversible pathway. This is when the carbon sinks become carbon sources. It is predicted to happen once we reach 2C. There will come a point where Earth becomes too hot to sustain life. Plants, trees and other flora will die. If nothing is photosynthesising, there’s nothing to absorb CO2 from the atmosphere and instead, it is released. CO2 traps heat, making temperatures soar even more. The permafrost in Arctic regions will thaw out and bacteria begin to decompose the shrubbery releasing an immeasurable amount of methane. Methane is 30 times more dangerous than CO2 with regards to its heat-trapping capacity. This “methane time-bomb” would not only spell the end of civilisation, but could cause extinction of humanity as well as most animals within a decade of the methane release. They’re not certain at what temperature Earth could be set on this pathway, but estimate that it could occur anywhere between a rise of 1.5°c and 10°c. If the methane time-bomb is not detonated, the only positive is that the worst of the effects of climate change won’t be felt until about a hundred years away, when experts predict that temperatures will stabilise at around 4-5°c above pre-industrial levels, after the ice caps have completely melted. By that point, however, much of Earth will be uninhabitable and if we have survived, civilisation will be unrecognisable from today. There are some climate scientists that believe Earth is more sensitive than the IPCC report supposes and that we could hand over control to her at just 1°c rise. Even if you don’t care about these 350 million people, you’ll care about their next move, looking for somewhere to live, somewhere that has food, somewhere temperate, somewhere like the UK maybe? This is just a sign of things to come. This won’t be something limited to Australia if global temperatures continue to rise. There will be crop failures all over the world due to different weather disasters in different areas; droughts and flooding in some and fires in others, contributing to rising food prices, starvation, riots and civil wars. This is what we can realistically expect to see during our life time. This is something that I’m particularly concerned about, living in what is officially the poorest town in England, where people are already struggling to afford to eat. Globally, we produce enough food to feed the world’s population. So why are there people dying of starvation? The answer is because the world’s cattle consumes a quantity of food equal to the caloric needs of 8.7 billion people. So while the West are dying from diseases of affluence such as heart disease, stroke, cancer and diabetes, many in the East are dying from poverty and starvation. The land that was grazed for cattle wouldn’t be replaced with land for growing crops because it takes a third the amount of land to produce equivalent calories required on a plant-based diet compared to an omnivorous one. Senior Research Engineer, Howard J. Herzog (MIT) points out that if today we are unwilling to use mitigation technologies due to their relatively cheap expense (things like improved efficiency, switching from coal to gas and using renewable energy), then why should we think that future generations will use NETs when they’re considerably more expensive? Why should we be so selfish and let future generations pick up the tab? Barriers to these technologies are very real and we cannot rely on the use of them in the future to compensate for our breaking the carbon budget and failing to do enough today. If it didn’t upset me so much, I’d find it funny. Plastic is bad, “I agree, I’ll use less plastic”; cars are bad, “I agree, I’ll walk more”; wasting electricity is bad, “I agree, I’ll use energy-saving lightbulbs”, meat is bad… “Whoa, do not attack my dietary choices”. Why do people have such a hard time with that last one? Seems like there may be a political agreement in the UK to buy much more expensive US fracked gas and make the consumer pay. The giant Shell-chartered 174,000-cbm LNG carrier Pan Europe is expected to arrive at the Dragon LNG facility in the Port of Milford Haven on October 31, according to the port’s shipping data.The tri-fuel diesel electric LNG carrier Pan Europe previously loaded a cargo at Cheniere’s Sabine Pass liquefaction and export facility in Louisiana, the data shows. 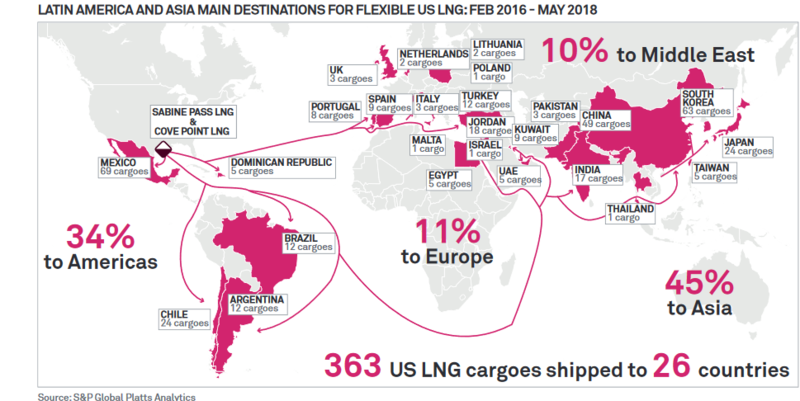 The UK’s Dragon LNG terminal has received a <a href=”https://www.lngworldnews.com/sabine-pass-cargo-heading-for-dragon-lng/”>LNG </aFracked Gas cargo from Cheniere’s Sabine Pass export facility in Louisiana, USA. The gigantic new Sabine Pass plant exports nearly 100% Fracked Gas sourced by a fast growing web of dangerous pipelines to the hundreds of thousands of Fracking wells blighting the USA. Destinations of US Fracked Gas as LNG China was the biggest buyer of US Fracked gas after S Korea, (see chart) , with imports set to triple in the next few years in coal substitution. But in response to the 3rd round of US trade war tariffs on $200bn of goods China has slapped a 10% tax on US Fracked Gas imports, with a provision that it could rise in line with US import taxes. Ironically in May 2018 China had offered to close the US trade gap with a huge increase in LNG imports. Now various reports suggest that Chinese imports of both oil and gas from the US neared zero in Sept 2018. Asia was the best market with higher prices. If the dispute continues Europe may receive even heavier pressure to import US Fracked gas. In the last few days, Water Protectors across the so-called US have taken action against a variety of pipeline projects. This includes both Embridge’s Line 3 pipeline, which saw action and construction stoppages on the Fond Du Lac Ojibwe Reservation, in so-called Manitoba, and outside of a Wells Fargo in Minneapolis, a bank which is helping to finance Line 3. 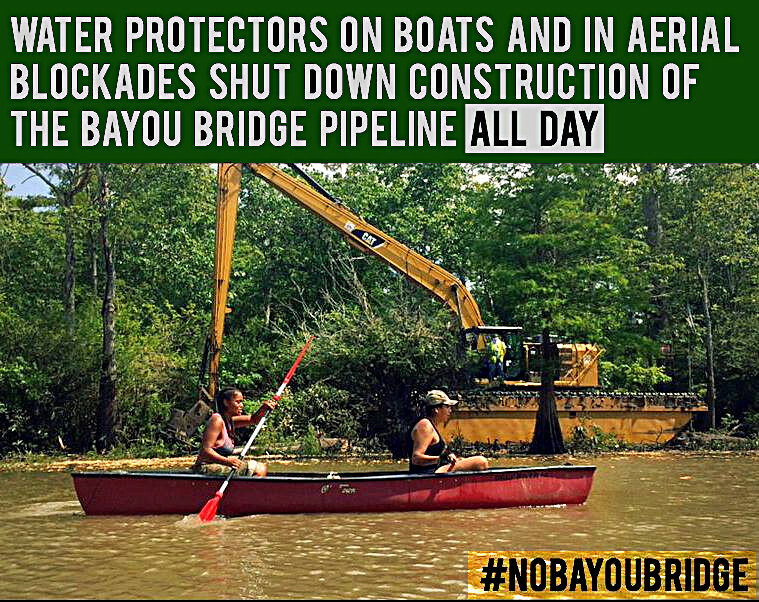 Actions in the ‘Hell Bender Autonomous Zone’ in the Appalachian territory also continue against the Atlantic Coast and Mountain Valley Pipelines, and the L’eau Est La Vie camp continues to throw down against the Bayou Bridge Pipeline in so-called Louisiana. Here’s a roundup of actions that have kicked off the last several days. byEnough is Enough! Originally published by HambiBleibt.